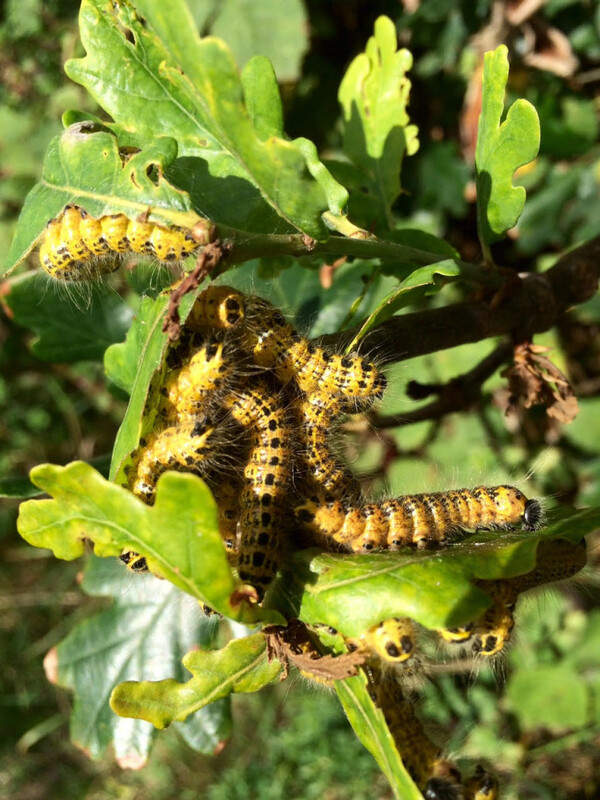 Last week one of our visitors sent in the photo above, concerned about the rapid defoliation by these hungry caterpillars! 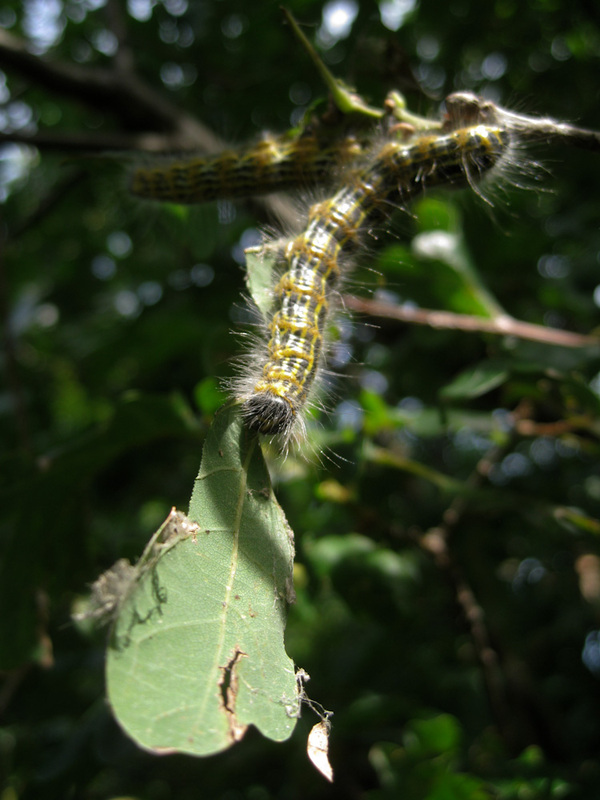 They are not invasive species that has been making headlines, but caterpillars of the Buff-tip (Phalera bucephala), a native species known for their gregarious habit as caterpillars. 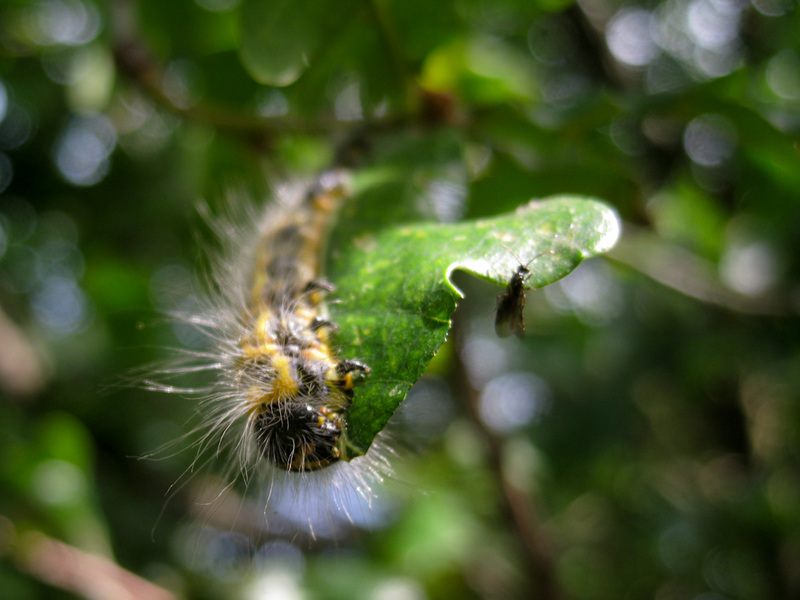 We caught up with the caterpillars later in the week and they certainly had grown and spread out! Yet they continue to eat oak leaves at an impressive rate. They will soon be preparing to pupate, tucked up underground, to emerge next year as adults in June or July. Thanks again for spotting this! Have you noticed any interesting or unusual wildlife at Mudchute? Be sure to send any queries our way! We’re only a tweet, Facebook message or email away!